Thinking of ways to use up leftover corned beef from St. Patrick's Day? 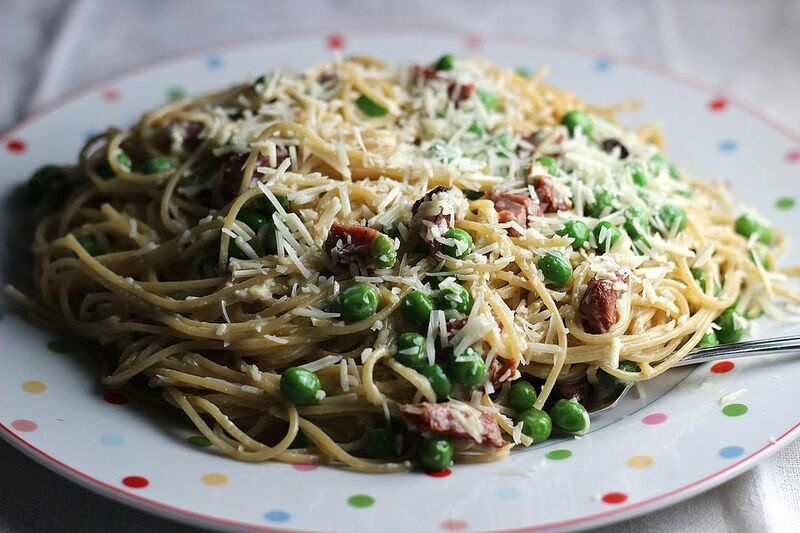 Use it instead of bacon in Spaghetti Carbonara. It's just wonderful. In ​a medium skillet, saute corned beef in olive oil until crispy. Set aside. Bring a large pot of water to a boil and cook the spaghetti until just al dente, according to package directions. Meanwhile, combine eggs, cream, and Parmesan cheese in small bowl and beat well. When the pasta is done, reserve 1/3 cup cooking water, then drain the pasta and return it to the hot pot. Beat in the egg mixture and the corned beef, tossing with tongs and adding reserved cooking water as necessary to make a sauce. Serve immediately with more Parmesan cheese, if desired. Corned Beef Hash Recipe for Breakfast? Yes, Please!